Get your kids into books early with these 15 interactive toddler’s board books that are perfect for toddlers and babies! Babies and toddlers learn not just through reading but also experiencing items. Touch and feel books allow young children to explore their world and experience it through their sense of touch as well as their sense of sight and hearing when being read to. You can find these books at your local library or purchase through the affiliate links provided for your convenience. 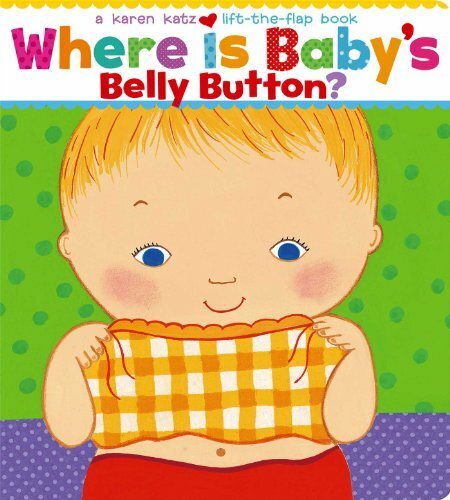 Where Is Baby’s Belly Button? A Lift-the-Flap Book by Karen Katz: Karen Katz’s adorable babies play peekaboo in this delightful interactive book. 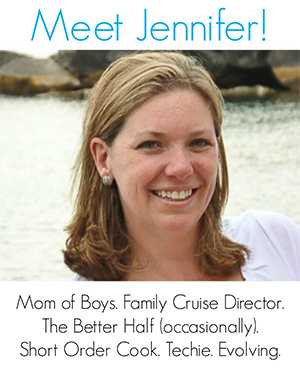 The sturdy format and easy-to-lift flaps are perfect for parents and children to share. 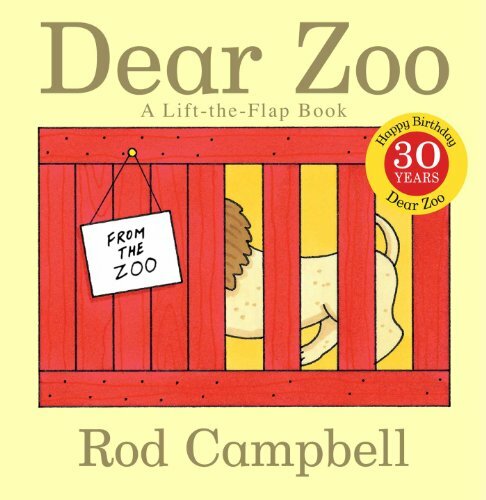 Dear Zoo: A Lift-the-Flap Book by Rod Campbell: Rod Campbell’s classic lift-the-flap book Dear Zoo has been a firm favorite with toddlers and parents alike ever since it was first published in 1982. Young readers love lifting the flaps to discover the animals the zoo has sent-a monkey, a lion, and even an elephant! But will they ever find the perfect pet? With bright, bold artwork, a catchy refrain, and a whole host of favorite animals, Dear Zoo is a must for every child’s bookshelf. Peek-A Who? by Nina Laden: Colorful pictures and simple rhyming texts help children guess what’s peeking through the die-cut windows in these two fun board books. The anticipation of what’s hiding on the next page and the bright, engaging illustrations will keep youngsters guessing and giggling all the way to the suprise endings. 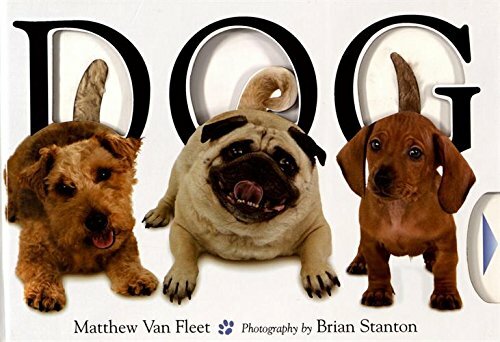 Dog by Matthew Van Fleet: Doggone fun for little ones! In Matthew Van Fleet’s captivating multiconcept book, twenty breeds of capering canines demonstrate action words, opposites, synonyms, and more. Cleverly designed pull tabs and flaps plus ten pettable textures provide interactive treats that will have the whole family arfing along from start to surprising finish. Bow-WOW! Peekaboo Kisses by Barney Saltzberg: Peekaboo! What’s hiding behind those paws? Why, it’s something woolly, something fluffy, something fuzzy, and something squeaky . . . a colorful menagerie of playful animals, each eager to be covered with kisses. 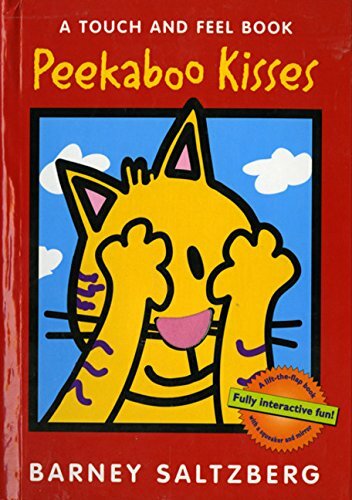 With flaps to lift, a squeaker to press, and a peek-at-yourself mirror at the end, this touchable, smoochable new book from the popular creator of Animal Kisses and Baby Animal Kisses is loaded with fun, surprises, and, of course, plenty of kisses. Millie Moo Touch and Feel Picture Book (Touch and Feel Picture Books) by Roger Priddy: Ideal for preschool children. 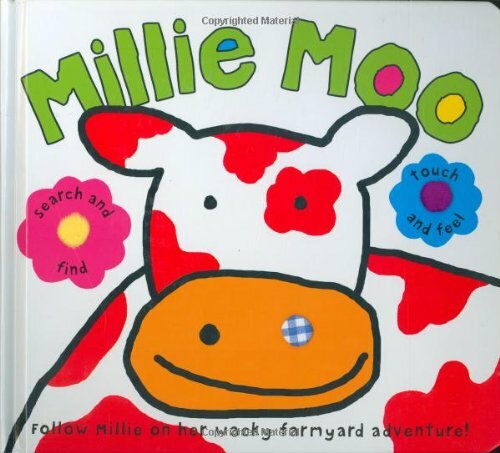 Join Millie Moo on a crazy adventure as she looks for her friends from the farm. With fun rhymes, silly characters and a wacky, whimsical story as well as lots of clues to find and solve, there’s touch and feel novelties on each page. 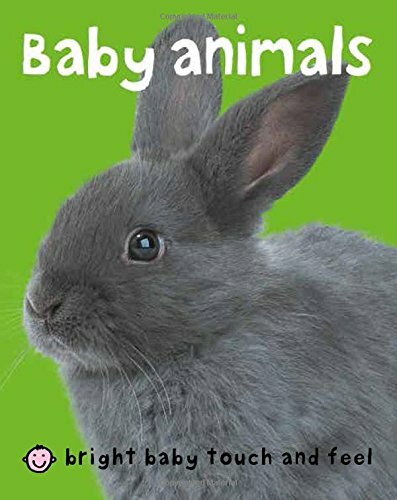 Bright Baby Touch & Feel Baby Animals (Bright Baby Touch and Feel) by Roger Priddy: Colorful pictures of baby animals, rhyming text to read aloud, and touch & feel textures make this book perfect for you and your bright baby. Open the Barn Door: Spend a day on the farm and explore all the animal sights and sounds! 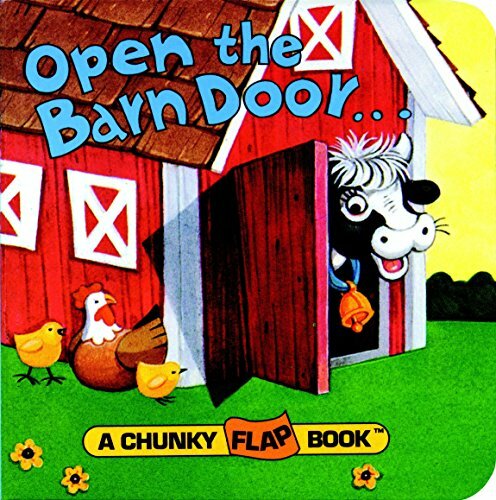 Featuring 10 lift-the-flaps and a variety of barnyard favorites, including horses, chickens, cows, and pigs, this board book is a fun-filled introduction to life on the farm. Fuzzy Fuzzy Fuzzy! (Boynton Board Books) by Sandra Boynton: Open the eggs to see what these guys say…. A delightful and fun read with the little ones. 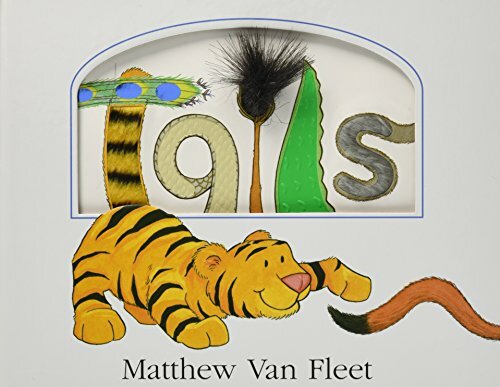 Tails by Matthew Van Fleet: Tails are irresistible to toddlers, and in Matthew Van Fleet’s sturdy touch-and-feel board book, preschool-age pokers and prodders can finally tug to their heart’s content. Engaging, cartoonish animals from tigers to pangolins romp across the pages as the rhyming text bounces along: “Tails fluffy, / Tails stringy, / Scaled tails strong and—clingy!” Pull tabs, lift-able flaps, tufts of fur, and even a scratch-and-sniff skunk tail provide plenty of tactile surprises. Along the way, youngsters will learn about counting, opposites, and how animals use their tails. A tried and true tail-wagger! Who Do You Love? by Margaret Wang: Explore the importance of love and family with Bendon’s Who Do You Love interactive touch and feel book. Children will delight at opening flaps to uncover all the characters that the little bear loves. A sweet theme and touchable cut-outs will keep your child coming back to this beautiful book again and again. 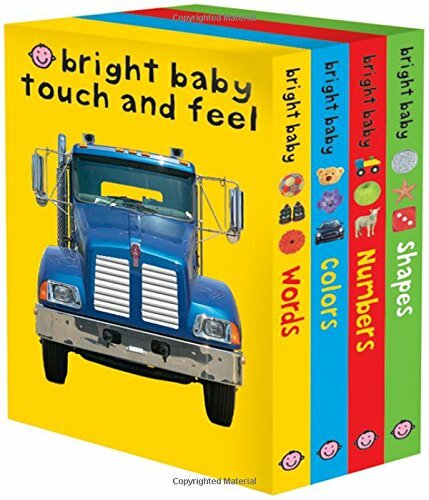 Bright Baby Touch & Feel by Roger Priddy: Interactive board book for babies and toddlers, featuring images and simple text on a spooky theme. 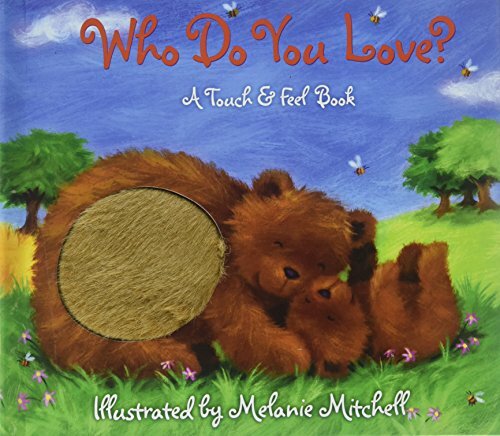 Touch and feel patches on every spread encourages child to interact with the book. Aids in the development of early vocabulary. Are You Ticklish? 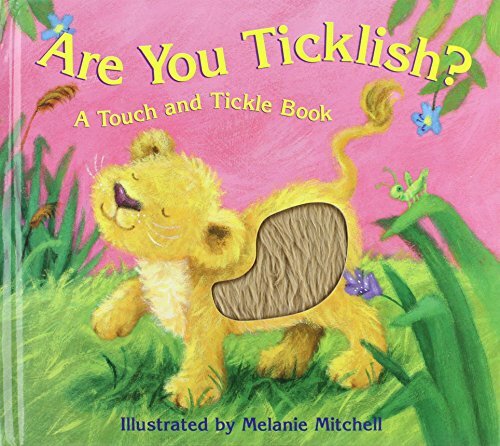 : A Touch and Tickle Book by Sam McKendry, Melanie Mitchell: Beautiful hardback tough and tickle books for toddlers. 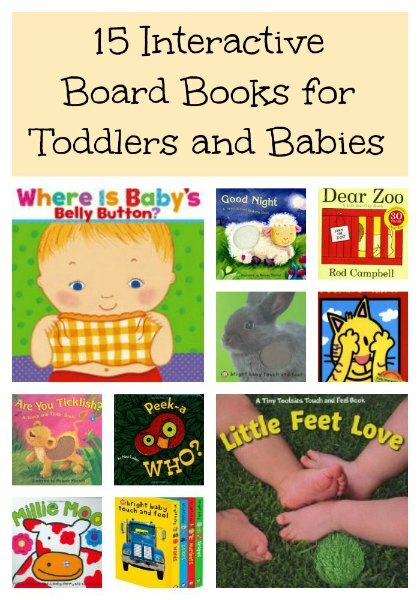 Like these interactive board books for toddlers? Find even more engaging book lists for kids with more than 100 book-themed reading lists! Usborne books are also great interactive books! Maybe some of these are? We had some of them when my kids were younger. We had Peek A Who and Where’s Baby’s Belly Button. Also loved That’s Not My Puppy. I LOVE that you posted this! I get so excited buying my little girl books that I know she will love. There are a lot I haven’t seen that are in this list so I’m excited to go get some of them. Thank you! !! we have 2 of these! We have a number of these books as well. The Heads, Tails, etc books are favorites in our house even now at two. Thanks for linking up at the Tuesday baby link up. Hope to see you back again this week. 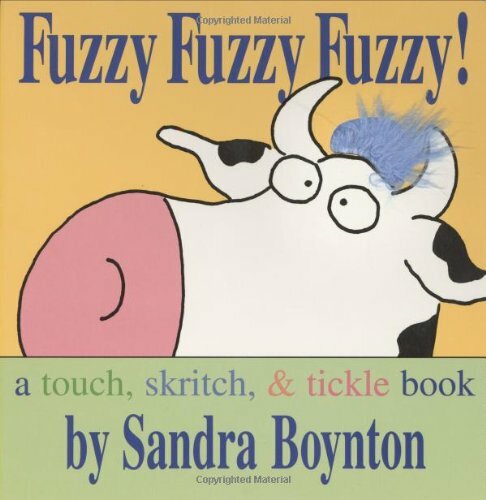 I love Dear Zoo and enjoy Sandra Boynton’s books although we came to them quite late. My daughter also loved the Baby Touch books from Ladybird. We still read Dear Zoo (and we’re actually on our second copy because my boys wore out the first). I’m excited to go track some of these down for our baby (especially Millie Moo one, It looks fun)!! !